Artificial Intelligence is becoming ubiquitous in today’s world. One of the most impacted sectors, a major field of study at IRT SystemX, is Autonomous Transportation. While autonomous cars have garnered the most media attention, trains have recently joined the race towards autonomy. In this blogpost, we present the challenges that the rail industry must defeat in order to make driverless trains a reality. Take a look at the timeline of fundamentally important discoveries and inventions which have changed the course of history. It is straightforward to pinpoint the most disruptive ones. As the consensus would have it, the top of the list features, in chronological order, fire, the wheel, and electricity. Merely a century and a half after the invention of the light bulb, our world is witnessing a new revolution through the medium of technology. Forget science fiction. According to Andrew Ng, one of the world’s leading figures in Artificial Intelligence (AI) development, « AI is the new electricity ». Just as 100 years ago electricity transformed industry after industry, AI’s impact on our daily life grows by the second and is becoming preponderant. A recent report by PwC estimates that AI will add $15 trillion to the world economy by 2030. One of the most impacted sectors, a major field of study at IRT SystemX, is Autonomous Transportation. The multiplicity of projects involving autonomous vehicles around the world attest to the fact that there is a marked tendency towards automating our daily tasks and making our lives easier thanks to intelligent technology. Therefore, it is of no surprise to read that the autonomous car industry is set to be worth $6.2 trillion euros in 2050. The German Railways (Deutsche Bahn) is planning to make a portion of its network fully autonomous by 2023. The Swiss Federal Railways (SBB) and the Südostbahn AG (SOB) have already tested automation technologies without passengers. East Japan Railway is confident of successfully running driverless trains in the future. Australia’s ruling safety board recently approved an autonomous system for trains. Last, but not least, France’s national railway company SNCF expects to see semi-autonomous trains running on the French rail network by 2020 and fully automatic trains within five years, following the establishment of two consortia of suppliers and research institutes to develop and implement the technology. 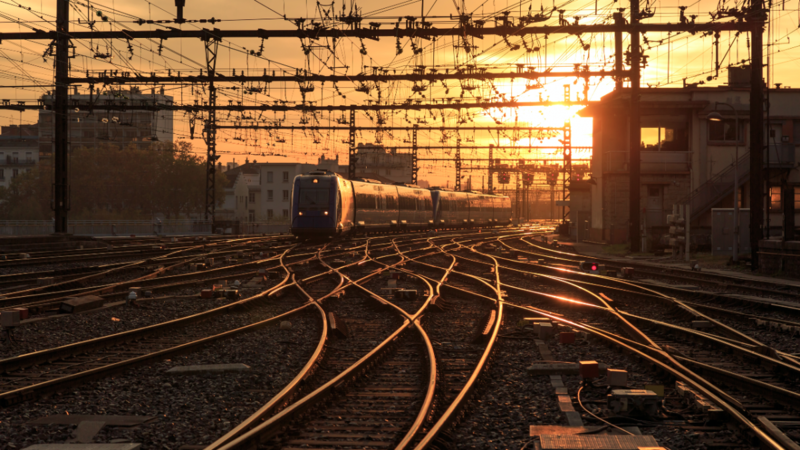 As it happens, SNCF, along with Alstom, Systra and Université de Technologie de Compiègne (UTC), has partnered with IRT SystemX on the TAS project (Safe Autonomous Land Transport) in order to provide a proof of concept for the replication of a train driver’s observational capabilities. The project, launched in April 2017 for a two-year period, focuses on recognizing the state of railway traffic lights, and detecting obstacles on the railway. Note that the content of this article does not reflect the results of the project. GoA1: The first grade is manual train operation, where the train driver controls starting and stopping, operation of doors and handling of emergencies or sudden diversions. GoA2: The second handles operations like changing tracks, starting, and stopping. GoA3: The third grade is driverless train operation where there are no drivers, but an attendant is onboard in order to take control in case of an emergency. GoA4: Finally, the fourth grade corresponds to unattended train operation, which is true automation without any staff on board. 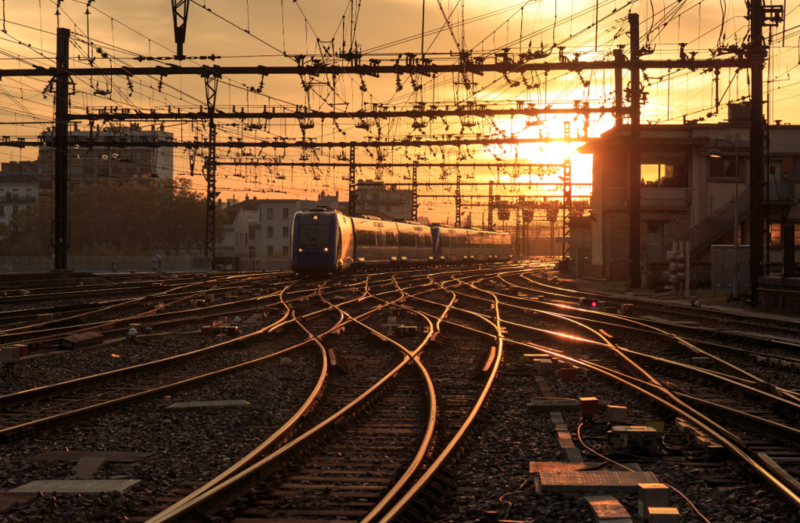 In order to achieve full autonomy, trains will be equipped with advanced (and/or intelligent) cameras, high-precision sensors, and state-of-the-art positioning systems. These components may feature AI technology and Machine Learning capabilities that should comply with safety requirements. One of the main difficulties lies in the complex interaction of the various subsystems when the train is running: monitoring the status of the railway track, the position of other trains and the physical integrity of the train, and determining the space required to brake safely. If any subsystem cannot judge the situation accurately, it will perform defensively by slowing or stopping, which hinders transport performance. Railway signalling is diverse and features multiple types of signals and state combinations. For example, a signalling device of type ‘H’ is configured to show up-to 18 different states, using eight light bulbs. There exists a plethora of train types with matching infrastructure. Thus, an autonomous system that applies to one type of trains may not necessarily generalize to another. While there is a will for unification, overhauling a country’s entire rail infrastructure is a daunting long-term project that comes at high cost. The stopping distance of a train is function of its body weight, cargo, and speed: a 10-car passenger train moving at 100 km/h requires about 500 meters to come to a halt. Therefore, it is imperative to detect obstacles and recognize the state of traffic lights well in advance before making a calculated stop. A special emphasis is given on passenger safety and system dependability. Without proof of the computer system’s reliability, security, and robustness, autonomous trains cannot be certified, let alone commercialized. Testing the system in situ requires access to railway infrastructure, which is not as trivial a matter compared to regular roads. These bottlenecks may be holding GoA4 trains back today, but there is no doubt that we are on the brink of a breakthrough that will revolutionize public transportation as we know it. Both freight and passenger trains will benefit from full autonomy: driverless operations increase system availability, network capacity and operational efficiency. One thing is certain: it is but a matter of time before we reach industrial maturity in this area. Indeed, autonomous trains are expected to mark the beginning of the third “rail revolution”, after electric traction and high-speed rail. Moreover, they will cement AI’s reputation for being the biggest disruption of the modern era. Jeanine Harb a intégré l'IRT SystemX en octobre 2017 en tant qu'ingénieur chercheur spécialisée en Big Data et Machine Learning. Major de promotion, elle obtient son diplôme d'ingénieur en informatique de l'Ecole Supérieure d'Ingénieurs de Beyrouth en 2016. Elle est également titulaire d'un Master Recherche en Data Engineering et Machine Learning délivré par Télécom Paristech, l'Ecole polytechnique et l'Université Paris-Saclay (2018).